48 Cornish community groups have benefited this year from grants from the Cornwall Glass Fund. To mark 40 years in business, the Company decided to make awards to more than 40 groups in 2018. The Cornwall Glass Fund was established by the company in 2009 and is managed by CCF to provide funding for community groups. 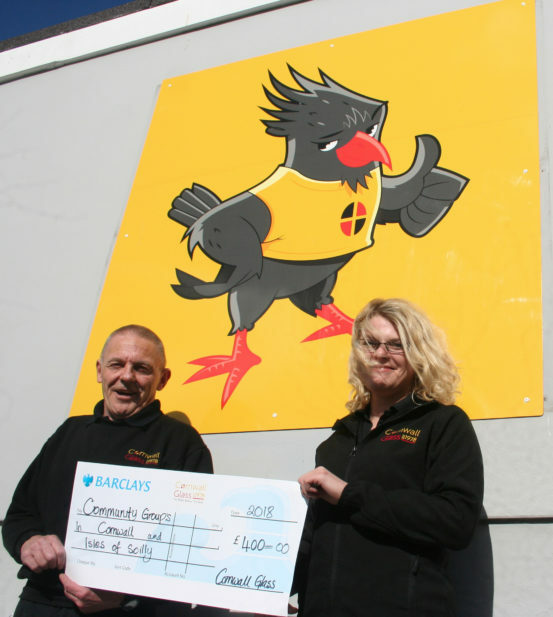 The Fund has grown and has awarded more than £100,000 in 160 local projects within Cornwall and the Isles of Scilly to date. Groups supported from the 40th year awards included 1st Illogan Brownies, Goonhavern Scouts, Launceston Memory Café, St Enoder Age Concern, St Austell CFR Group, Lelant Village Hall, Drama Express, St Agnes Netball Club, Carnon Carers and Cornwall Downs Syndrome Support Group. Cornwall Glass is a family owned business specialising in the manufacture, production and installation of glass and glazing products for commercial, trade, architectural and domestic customers. With 15 branches throughout Cornwall and South West, the company has supported local communities since it all began in 1978. Cornwall Glass colleagues take an active role in the decision-making process for the applications to the Fund.